The Dungeon Master (DM) together with the players are essential figures in any Pen&Pencil RPG (Role Playing Game). The DM is in charge of keeping track of all the details of a campaign, and the players only have to worry about their character. Now we have a tool that will be very handy to both DMs and players, Hero Lab, an intuitive character manager application. - Manage multiple characters, that can be accessed instantly. 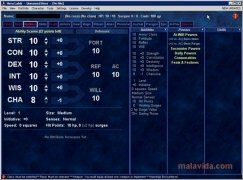 - Generate character sheets, with support for PDF format, very easy to read. - Incredible presentation of the information of each character. 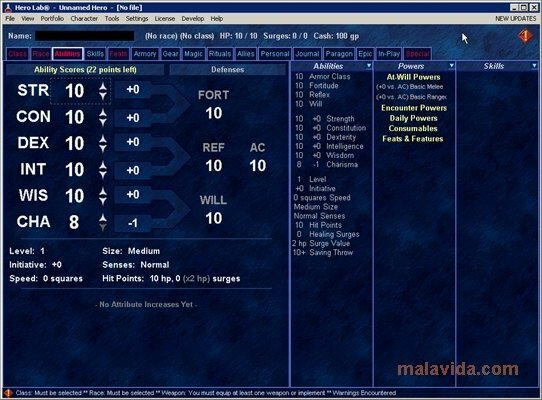 - Integration with a Tactical Console, that is the perfect tool to be used by the DM. - Includes the possibility to include "house rules", as well as other material with a practical editor. - Easily adjust the options and abilities of each character. - Real-time alerts if any of the game rules are broken. The latest version of Hero Lab supports the following game systems: 4th Edition, d20 System, Savage Worlds, Authoring Kit Sample, Mutants & Masterminds, World of Darkness, Cortex, Pathfinder Roleplaying Game. These have to be downloaded from the application to be able to be used. Hero Lab will change how you play! The trial version has certain limitations. 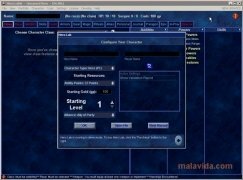 Only allows you to create one character and doesn't allow you to save or print. Requires an Internet connection to download the game systems. Unfortunately I've found that Hero Lab is frequently inaccurate when it comes to certain calculations, and interactions with their customer service and development team make it clear that they're uninterested in addressing issues directly. I've been asked to contact game developers on their behalf to obtain clarifications for issues in their software, and they refuse to give even a cursory examination to the rules in the books when an issue is brought up. They'll ask for official clarifications on things that are printed clearly in a source book if they could be bothered to read them. Having to rely on the community fanbase to get corrected files is just lame and not a selling point; it's like praising Bethesda for the work that modders are doing on Skyrim.